So February School vacation is here and what should the kids do to keep busy. We are offering a class just for kids with our very talented Jo-Ann Bousquet. This class is offered during both the Massachusetts and New Hampshire school vacation week. The project is fully kitted so supplies are minimal. 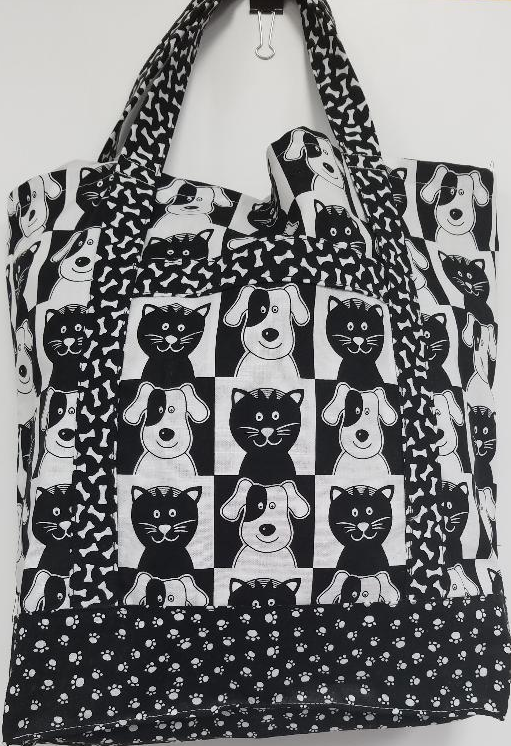 The project is an adorable tote bag with a front and back pocket, sturdy handles and made with very cute fabric. Sign up today for the fun as space is limited. The fabric may be different than what is shown in the photo.